This is going to be a quick post tonight since I haven’t gotten a chance to take a picture of myself in my challenge outfit (busy day = hair and makeup that really aren’t picture-worthy, lol) but I do have pictures of what I bought and I will update this post to add the picture of myself and a poll (see updates below!). 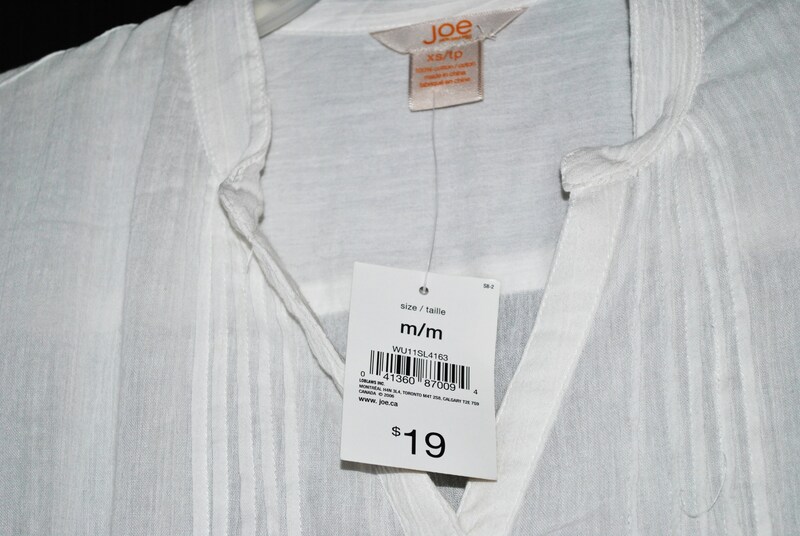 After searching high and low and finding nothing in my original $20 budget, and then nothing in my new $40 budget, I finally came across a tunic style dress/cover-up by Joe Fresh ( once again) at the grocery store! It was an even greater find since it was selling for only $19 and after taxes it came in at the very affordable price of $21.47! With my new budget that leaves me with a whopping $18.53 for the SpendThrift Savings Bank! 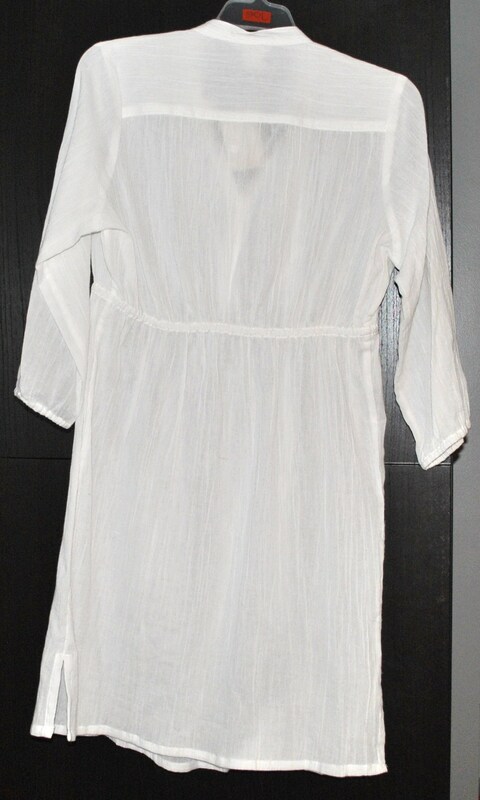 Although it is more of a tunic than a true dress, is a little see-through (I may need a slip to put under it…wow, don’t I sound like a Grandma with that one! ), and the shape is a little hard decipher without actually seeing it on an actual person, I really do think that it embodies the feeling of the Peter Som dress in the Self Magazine picture. Now keep in mind this isn't really a belt in this picture, it's actually the strap of my Mossimo bag, lol! It's more to show how this dress really needs a belt! 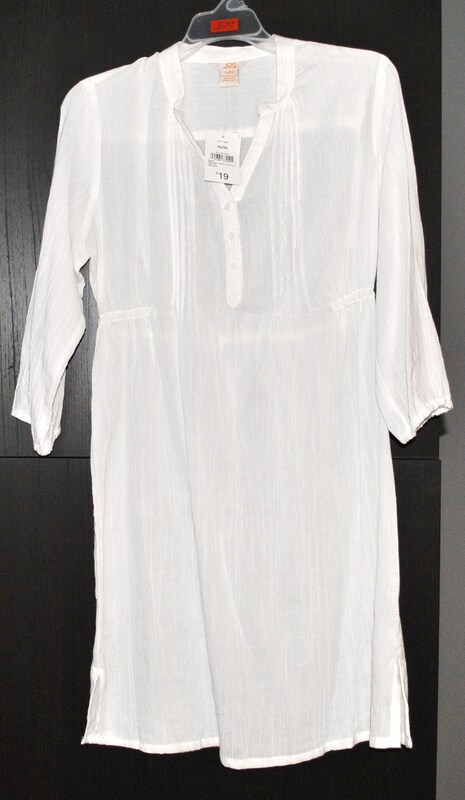 I think that tunic will be a very versatile summer garment – good find!